A POLICE Ombudsman investigation into the 1992 Sean Graham bookmakers’ atrocity has uncovered sensitive ‘Troubles’ related information that was withheld from investigators by the police. 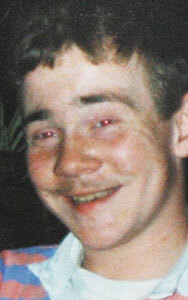 The Office has now begun new lines of inquiry into the Ormeau Road shooting, which claimed the lives of five people. It will also look at new lines of inquiry in its investigations into loyalist activities in North and West Belfast between 1988 and 1994, including the March 1993 murder of 17-year-old Damien Walsh at a coal depot at the Dairy Farm Centre in Colin area. The Police Ombudsman, Dr Michael Maguire, said that during the investigation into the Sean Graham shooting the police had failed to provide all the relevant information that they held. “My staff became aware that police were preparing to disclose a range of material as part of impending civil proceedings. Following a request from this Office, police released this material to us which helped identify significant evidence relevant to a number of our investigations,” he said. “Following on from this, police have now also identified a computer system which they say had not been properly searched when responding to previous requests for information. “In that instance, it would seem information which police told us did not exist has now been found,” added Dr Maguire. Families of a number of the victims have been informed of a delay reports that outlining the findings of these various investigations. “The public must have confidence that, when asked, police provide all the relevant information they hold on given matters, whether it be to this Office or to other legal authorities. “The police have told us the problems came about through a combination of human error arising from a lack of knowledge and experience and the complex challenges associated with voluminous material (some 44 million pieces of paper and microfilm records) that is stored in various places and on a range of media and on archaic IT systems. Responding to the revelations, Relatives for Justice CEO Mark Thompson said there was a clear “systematic problem” with the disclosure of legacy case information. “It becomes all the more alarming when the material uncovered relates to intelligence covert policing,” he stated. “It is only recently that the PSNI ‘discovered’ a computer concerning voluminous material relating to the British army and relevant to numerous killings before inquest and other inquisitorial and civil processes, years after they claimed it did not exist. “We only have to look at the three Stevens investigations, the review by Judge Cory, and then the De Silva Review into the UDA murder of Pat Finucane. “In every single one of these processes more material was uncovered that was claimed didn’t exist. “That is why we also endorse the call by Dr Maguire for an independent review of how the PSNI deal with their legal obligations regarding disclosure. “This review should begin as a matter of urgency. “It is important that the Ombudsman has uncovered this material just prior to the publication of reports into these major investigations. And we welcome that. “However, this inevitably means more delay for families including the fact that the current Ombudsman’s tenure expires in July. “This raises significant concerns in that the appointment of a new Police Ombudsman is imminent with interviews by the NIO now concluded with a successful candidate to be announced shortly. “Families will struggle to have confidence in an appointment made by a Secretary of State that has been led by the DUP on legacy and in which the effectiveness of the Ombudsman has been constantly attacked; this notwithstanding that the NIO are not independent and have a vested interest in controlling not only legacy issues but also the flow of information, i.e. disclosure.